In His lifetime, Jesus ministered to great numbers of people -10,000 or more at a time, a sea of humanity gathered on hillsides and sandy beaches. However, He spent most of His time with a small number of hand-picked devotees. The small group of twelve who Jesus chose as His disciples came from a variety of occupations that included fishermen, a tax collector, a politician, a bookkeeper, and several businessmen. These men varied greatly in temperament as well. Peter was bold and belligerent, John quiet and affectionate. Thomas was pragmatic and methodical, while Judas was sneaky and underhanded. Jesus clearly appreciated the power of a small, diverse group. We should too. Large gatherings are great for instruction and inspiration, but a small group is where the real work is done. 1) Small groups challenge our comfort zones; 2) provide opportunities to be heard; 3) encourage commitment to other individuals; 4) teach the need for transparency and accountability; 5) and challenge us to own our beliefs in the midst of diverse viewpoints. 1. Small groups are small. When the group grows to more than 15, the small group advantage is lost. It’s time to branch out. 2. Small groups work best in a relaxed, informal atmosphere. Choose a host and/or hostess who truly enjoys hospitality. Don’t worry about finding the “perfect” home. People tend to feel most comfortable in a home that feels inviting, lived in - like their own. When group members see the host or hostess getting comfortable on the floor or in their favorite chair, they will likely feel they can get comfortable as well. 3. Small groups require a facilitator rather than an instructor. A good facilitator knows how to present a simple issue, ignite discussion, encourage input from less assertive individuals, steer the group away from generalizations and judgements. This can be tough until group members get to know and trust one another. As the group comes together over the first weeks, emphasize fellowship, keep the atmosphere light, and have fun together. Read “How to Host an Illustrated Faith Girls’ Night” for ideas on how to introduce Bible journaling to your group. 4. Small groups are enhanced by diversity. This will happen naturally if you let it. It’s just good to know that it’s usually not necessary to try to limit your group based on age, gender, or some other variable. Having a grandfather and a teenager in the same group, for example, has been known to lead to wonderful and unexpected outcomes. Getting to know a person one-on-one is a great way to break mindsets and stereotypes. So it’s best to relax and let your group find its own dynamic. 5. Small groups require a certain level of discretion. Depending on the nature of the group, some may call for a high level of confidentiality. But for most, the facilitator should request as much discretion as it takes to make people feel comfortable sharing their thoughts and opinions. When it comes to small groups, a little planning goes a long way. Once everyone is comfortable with the boundaries, these groups require little maintenance while spawning meaningful relationships, stimulating mental and spiritual growth, and providing emotional support. These groups can also become a rich source of just plain fun. As you move forward, be sure you take a look at the rich selection of resources DaySpring has to offer. 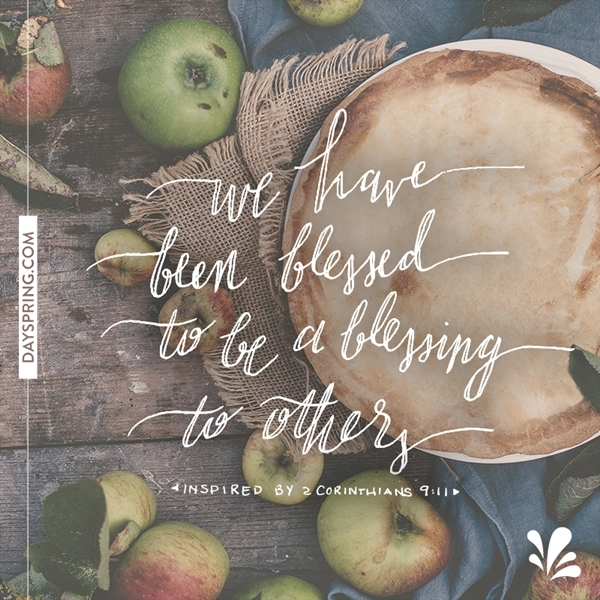 For example, there are Christian Living books that make great discussion starters, beautiful, small gifts that can be given to your group members, even ideas about how to incorporate activities like Bible Journaling into your group. Looking for more? Check out our Devotional Library and be sure to sign up for our e-newsletter to receive free articles, updates from our Ecard Studio as well as exclusive deals. Jesus clearly appreciated the power of a small, diverse group. We should too.